We have met the most incredible people on this journey 🙂 My friend Laura,who is helping me(greatly) plan our first Vaughn’s Memorial Color Run,decided to plan this event for us! 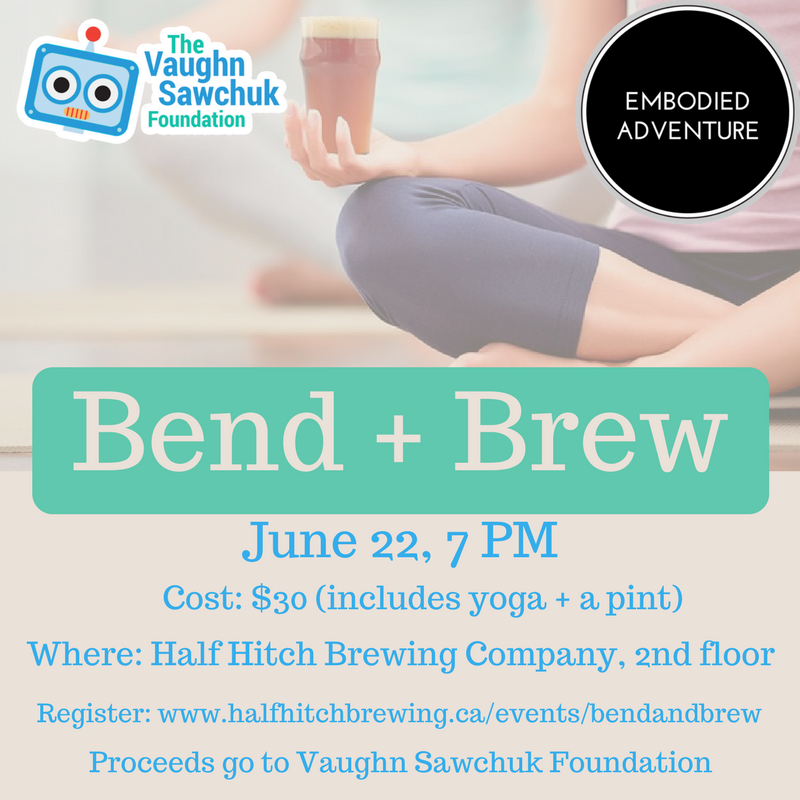 Half Hitch brewing, our new and local brewery, and Jess from Embodied Adventure will be hosting our first BEND AND BREW! Yoga and beer going hand and hand with Jess leading the way,guiding you to your inner yogi! We will have our very own cask to create and $5 from each pint goes towards our foundation!! June 22nd is the day and only 25 spots are available,so GET YOUR TICKETS QUICK!! Please visit www.halfhitchbrewing.ca/events/bendandbrew Also visit us on facebook and Instagram!